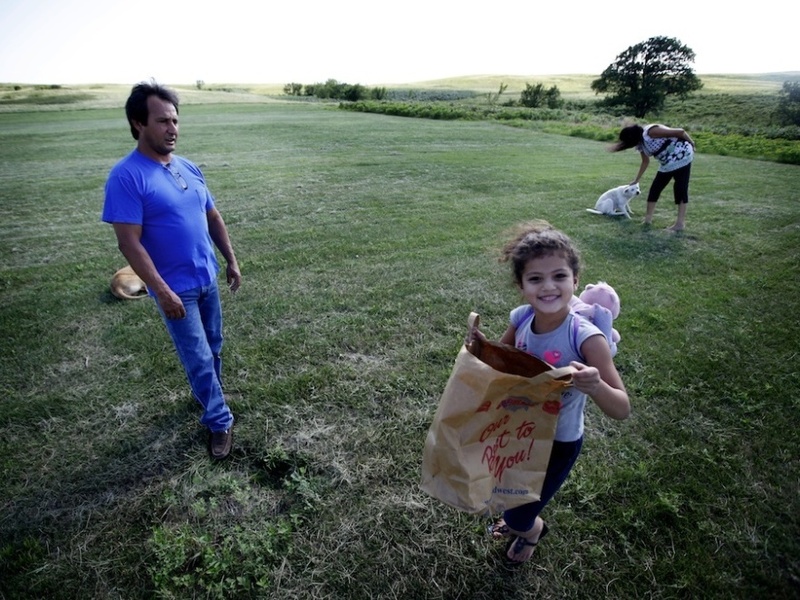 Native Survivors Of Foster Care Return Home Native Americans like Dwayne Stenstrom, who were sent off the reservation as young children, seek the culture and heritage they lost. Dwayne Stenstrom is a professor of American history. His office is lined with towers of obscure books and poetry on the walls. There's even a copy of the Declaration of Independence in a binder. He teaches this document like many other professors, beginning with, "We hold these truths to be self evident." But he stops on another phrase — "the inhabitants of our frontiers, the merciless Indian savages." "What [is] significant to me," Stenstrom says, "is the impact that it has on a lot of our Native American kids when it still regards Indians as merciless Indian savages." Stenstrom teaches at Sinte Gleska University on the Rosebud Indian Reservation in South Dakota. He grew up in a white foster care home, married his wife 31 years ago and raised six children. He's as passionate about history as he is his community. Most social services departments would look at him and say he's a success story. "The problem," Stenstrom says, "is that that's a fallacy." 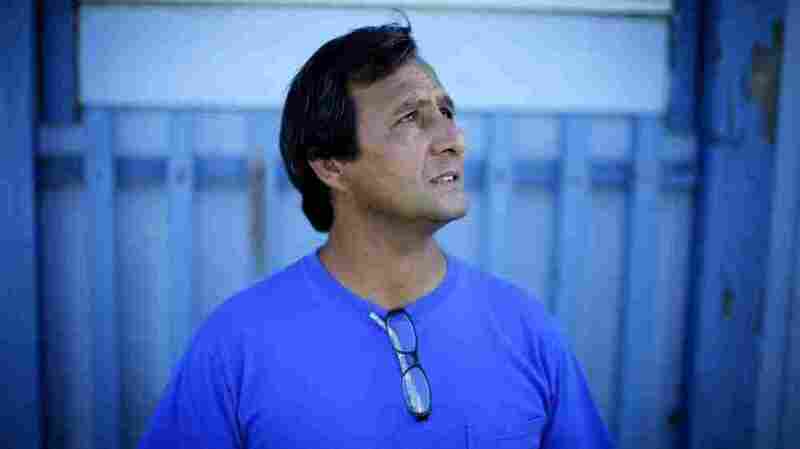 He says he didn't make a life for himself "until I came back to the reservation." The Indian Child Welfare Act says that except in the rarest of cases, Native American children who have to be removed from their homes must be placed with relatives, their tribes or other Native Americans. Yet 32 states are failing in some way to abide by the law, according to 2005 government audit. These children are also more likely to end up in foster care than other races, even in similar circumstances, according to the National Indian Child Welfare Association. Dwayne Stenstrom, in the striped shirt, is shown in a family photo as a young boy. He is pictured with one of his brothers who went to Vietnam and another brother who was also placed in foster care. The result is generations of children growing up without a connection to their culture, traditions and tribes — as Stenstrom did. 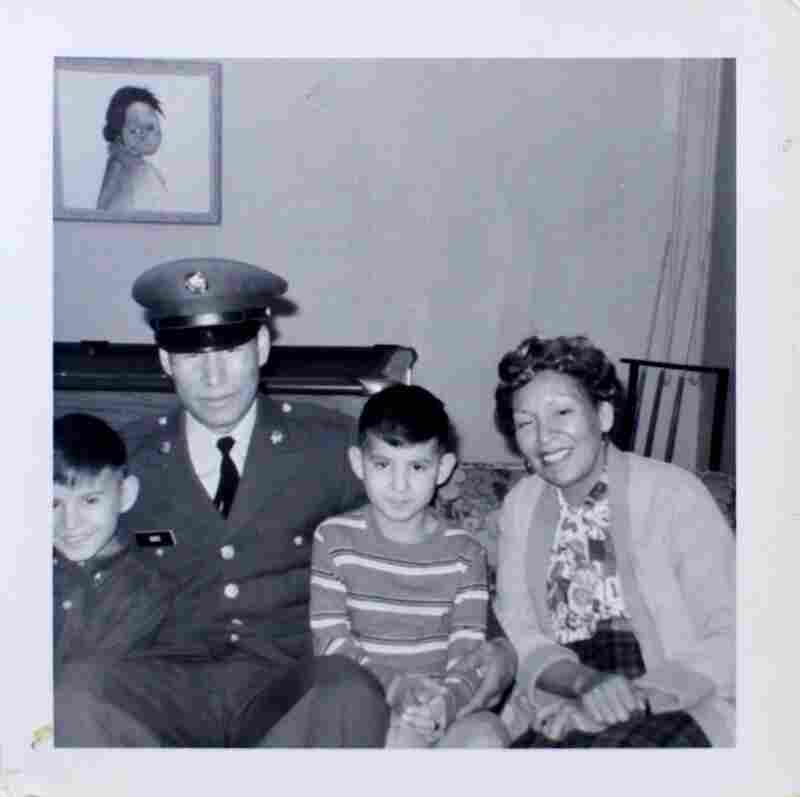 He grew up on the Nebraska plains, on the Winnebago Reservation. He and his brother spent the summers outside on the prairie with their grandfather. But when he was 8 years old, in the spring of 1968, a van pulled up outside his house. The driver, a woman, told him he and his brother were going away for the summer. Stenstrom recalls his grandfather looking worried. "He told me never to forget where I come from and to embrace it," Stenstrom remembers. Stenstrom spent the summer in several foster homes. One day the van took him to Ainsworth, Neb., to a house where an older couple lived. Their own children were grown and no longer living at home. There, he and his brother waited for fall so they could go home. "I'm thinking when the summer's over, the little van [is] going to come and get me," Stenstrom says. "It still hasn't come and got me. I'm still sitting there emotionally waiting for the little van to come. And I don't expect it's coming." Years later, he was told by a state worker that his mother drank too much. But he doesn't recall any bad memories. He knows she loved him. When he closed his eyes, he could see it in her face. He says he doesn't understand why he wasn't sent to live with one of his relatives. He had hundreds of them. Instead he was sent to a white foster home. "I grew up in a teepee, for Pete's sake," he says. "This isn't a cliche. Go to bed in a circular teepee tonight and wake up tomorrow morning with four walls. And when you open your eyes, you don't recognize anybody in the room. And sit there for 12 years. Because that's what I did." Sometimes he dreamed about Native American ceremonies. But when he woke up, the details were gone. For a while, he hoped his two older brothers would come get him. But they had both been drafted and sent to Vietnam. "I'm sitting here feeling sorry for me because I lost my mom," he says. "Imagine what she went through." Dwayne Stenstrom and his wife, Rose, live on South Dakota's Rosebud reservation, where they raised six children. Also pictured is their granddaughter. Stenstrom liked his foster parents. He says they treated him well, but he does not refer to them as his own mother or father. "I learned to appreciate that family," he says. "I stayed with them until both of them passed away. When the mother passed, I went back to her funeral and one of her kids asked, 'Why's he here?' "
After that, something snapped. And like more than half of children who leave foster care, he got in trouble with the law and drank too much. "The only thing I had going for me was my memory," he says. "I looked in four directions and there was nobody." That's when he returned to the reservation, he says, to see what he had missed and find his identity. He says it saved him. On the Pine Ridge Indian reservation in South Dakota, former foster care children walk into Juanita Scherich's office every week. They want to be saved too. Scherich knows the feeling. She was taken from her parents when she was 9. * Each year, South Dakota removes an average of 700 Native American children from their homes. Indian children are less than 15 percent of the state's child population but make up more than half the children in foster care. * Despite the Indian Child Welfare Act, which says Native American children must be placed with their family members, relatives, their tribes or other Native Americans, native children are more than twice as likely to be sent to foster care as are children of other races, even in similar circumstances. * Nearly 90 percent of Native American children sent to foster care in South Dakota are placed in nonnative homes or group care. * Fewer than 12 percent of Native American children in South Dakota foster care had been physically or sexually abused in their homes, below the national average. The state says parents have "neglected" their children, a subjective term. But tribe leaders tell NPR what social workers call neglect is often poverty, and sometimes native tradition. * A close review of South Dakota's budget shows that it receives almost $100 million a year to subsidize its foster care program. Scherich says like those who visit her, she lost her language and her sense of tiospaye — tribal family. "A lot of times it's real painful for me to think about it because my brother and I went through a lot," she says. "I have never forgotten it. I think that's why I work so hard in this job." Scherich is now the tribe's social worker. The most difficult mornings are when young children are waiting at her door. They're runaways from foster care. Asked what she does with them, she says: "I don't give them back to the state of South Dakota, that's for damn sure." That feeling is common on South Dakota's reservations. Officials from three separate tribes said they are actively hiding children from state caseworkers. Scherich says she finds a relative to take them in — something she says the state should have done in the first place. "They are so happy to see Grandma," she says. "They just cry. It makes you cry. Those are the times it's all worth it." After Stenstrom found his way home, he says he connected with the spirit of his grandfather and made peace with the years he spent in foster care. Eventually he even found his mother. She told him she had searched for him for years. He spent six months with her before she died of cancer. "That was my mom," he says. "That meant the world to me." Not too long ago a boy, about 6 years old, found his way to the pay phone at the minimart on the Cheyenne River reservation. "He ran away from a foster home in Lemmon," says Diane Garreau, the tribe's social worker. "He was looking through the phone book because he had remembered names of his family. "They try to come home," she says. "They'll always come home.They should have never left here." Garreau and dozens of other tribal officials say the only difference between running away and running home is whether or not you're running in the direction you belong.